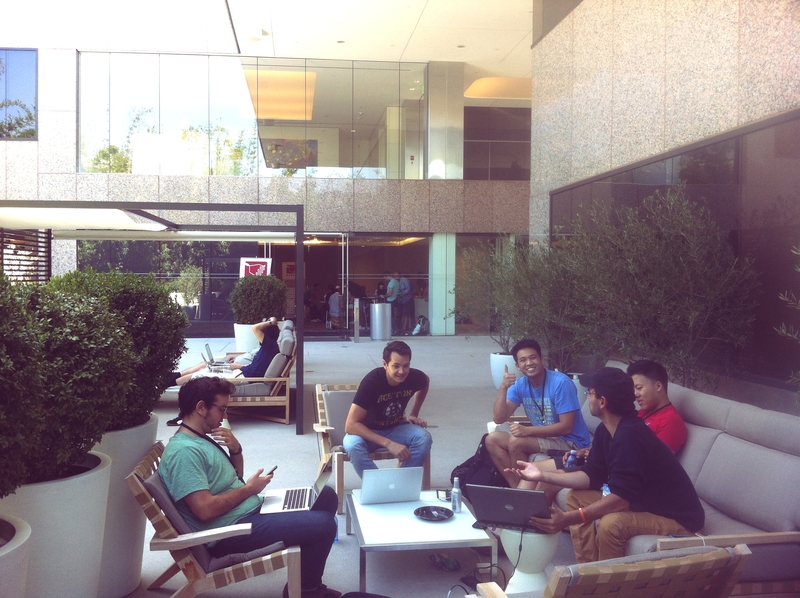 Earlier this month I attended Hollywood Hack Day, a weekend event that also happened to be my first as a developer evangelist. Hi, I’m Scott Motte. An hour in and we’re on the 101, then Santa Monica Blvd. The sun is shining. The homes are getting bigger. The palm trees are growing taller. We see a dog with shoes on. We’re close. We pull up to the venue – the United Talent Agency building. It’s a glassy structure with poolside-style outdoor furniture, and a rumored private screening room. We’re early by design. I meet the organizers of the event, and get to work helping them setup. These guys know how to run an event. Things go smoothly. Elmer Thomas, our veteran Sendgrid evangelist, arrives soon after, and he shows me the ropes for setting up the SendGrid table. It’s 9am now. Elmer and I are chatting with people about technology and SendGrid. I also meet some of the other veteran evangelists – Neal from Mashery, Mager from Spotify, Song from Tokbox, and Devin from Rdio. Cool guys. Soon the room is buzzing with designers and developers. Tables fill up. Teams form. There’s probably 100 developers and designers. Rahim gives the introduction and the demos start from the developer evangelists. Good demos all around. I take mental notes for my next event where I will be demoing. Elmer takes this one. Then it is off to hacking. 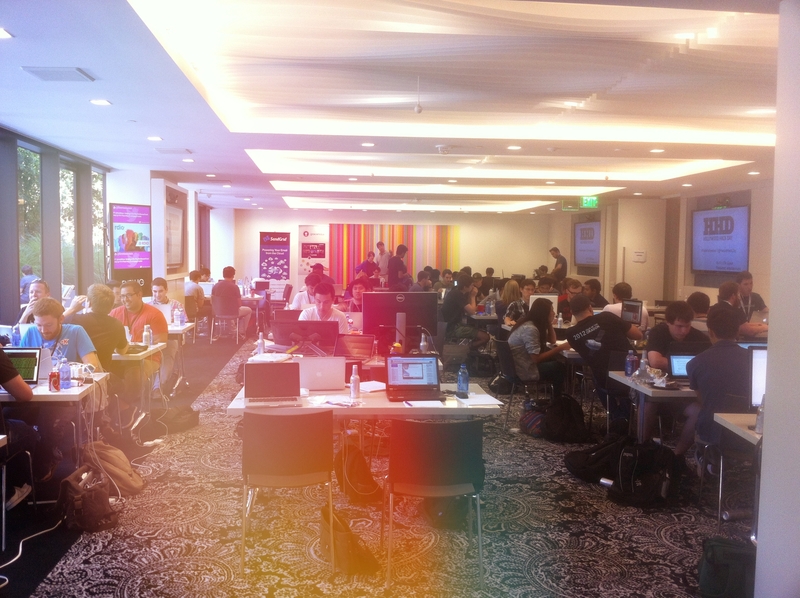 The rest of the event is filled with developers doing what they do best – hacking. The food is good, the outdoor/indoor venue is refreshing, and the talent at this event is high. That goes on until 5:30pm on Sunday. Time’s up. Everyone starts making their way to the presentation room. It’s a Hollywood private screening room. Leather couches, beautiful decor, and perfect sound and picture. We all settle in and the demos begin. I and others are really impressed with the demos. The technology in some of the apps is impressive too. 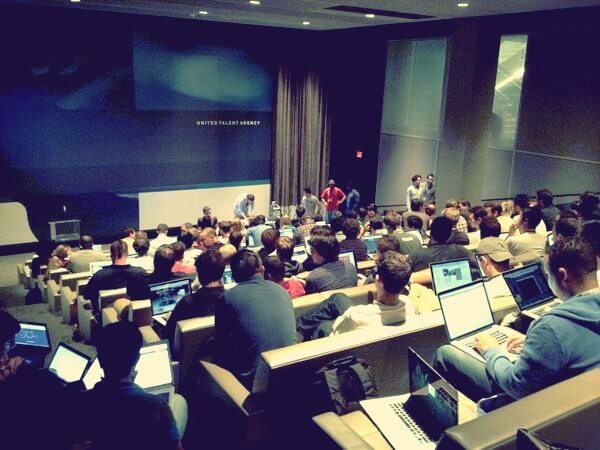 This hackathon has the best talent of any hackathon I’ve been to. We move through 37 presentations at 3 minutes each. I take notes on each of the presentations. Here’s the full list of those notes. The judges go into a separate room to deliberate. I’m in that room as well giving my insight on the technical difficulty of some of the hacks alongside the rest of the developer evangelists. When the judges come out, first place is announced. GoGoLoLow takes first prize. It’s an active gaming app where you put your phone in your pocket, it syncs up with your screen, and then you do your best to match the positions of your character on the screen. You earn points for doing so successfully. They put on a great demo – playing the game live. The theatre was filled with laughter watching their attempts to match the positions on screen. It was a well deserved first place. 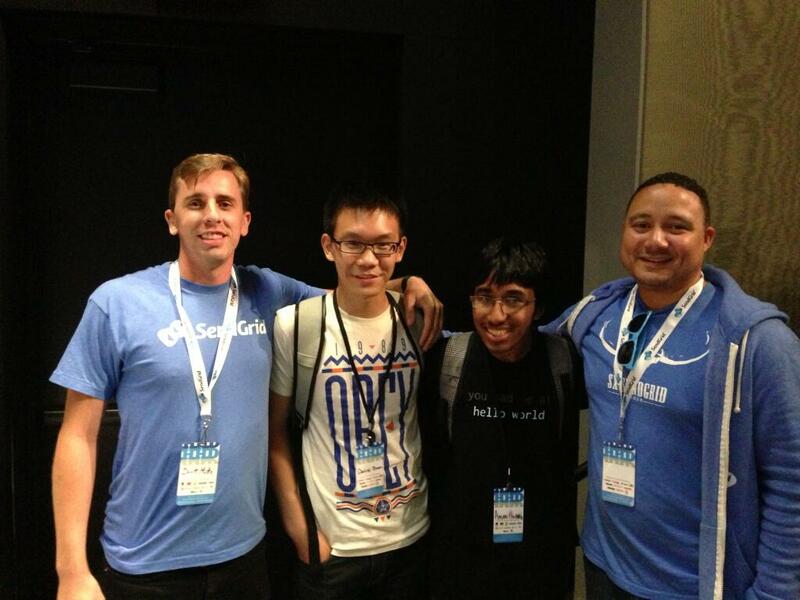 There were many other prizes including best use of the SendGrid API. Elmer and I chose SpotiCli by Daniel and Aman. SpotiCli let you control Spotify from the command line and email the currently playing song to a friend from that same command line. They each won a Braven 600 wireless bluetooth speaker. And that was it. 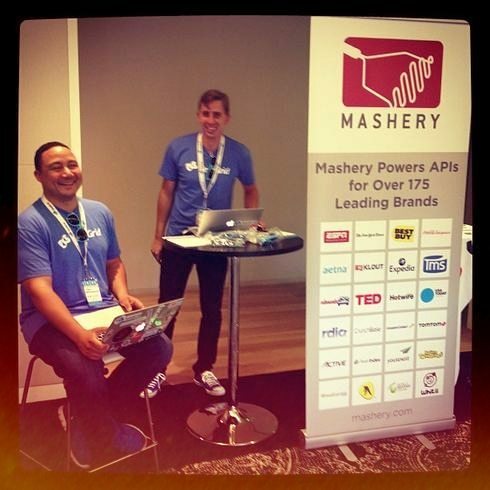 This was a magical hackathon, but like all hackathons it was suddenly over. Elmer and I took a few developers from the event out for dinner, and then we all went home. I can’t wait to come back next year. Put this event on your calendar. 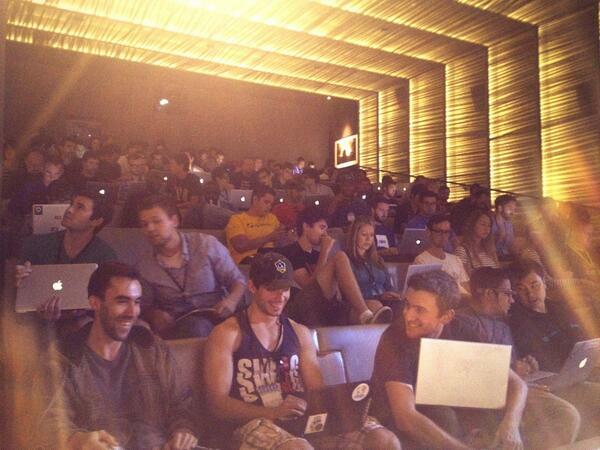 Big thanks to @rahims, @AbeBurns, and @RyanChisholm for making Hollywood Hack Day happen.